Lamps in the movies and on TV! 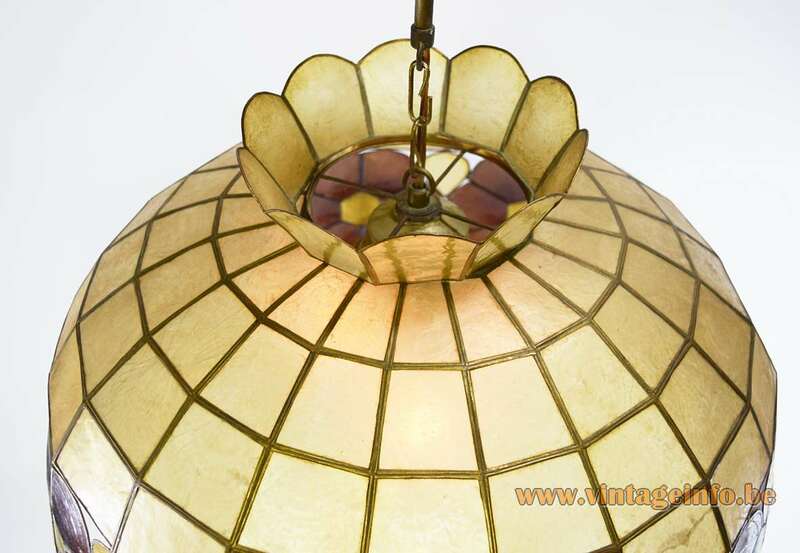 Materials: Half round lamp made of brass and shells from the windowpane oyster. Some coloured red/maroon shells in a flower decoration. Brass chain and canopy. Bakelite socket. 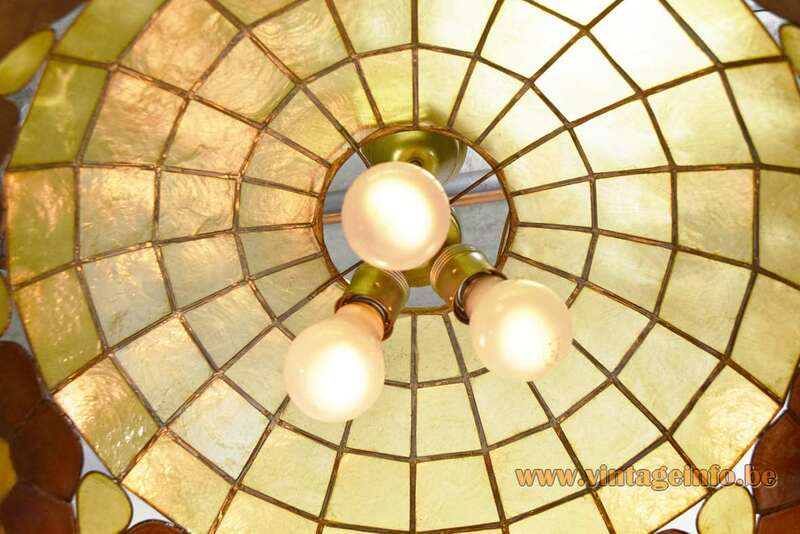 Electricity: 3 bulbs E27, 3 x 75 watt maximum, 110/220 volt. Any type of bulb can be used, not a specific one preferred. Period: 1900s until now, this one is from the 1960s. Manufacturer: To be appraised. 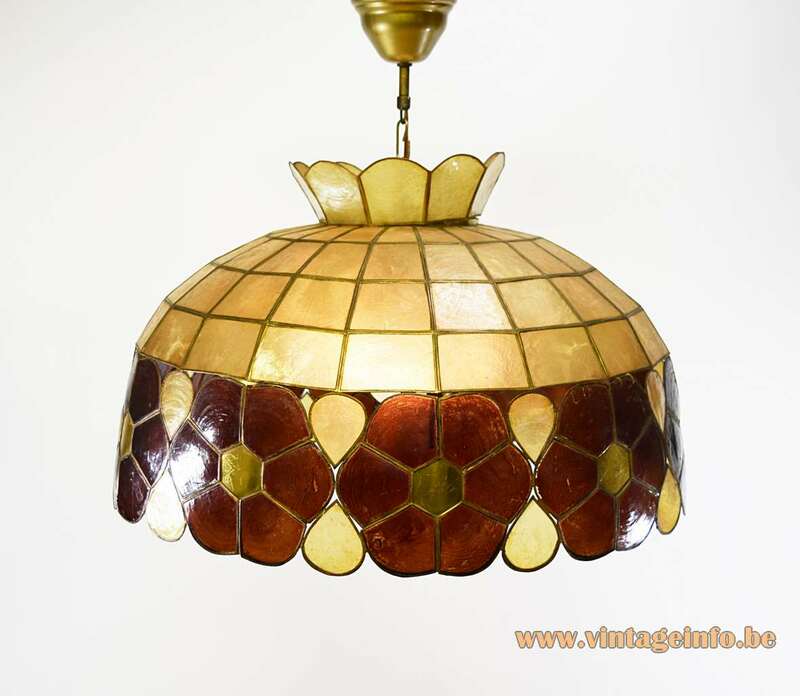 Imported by the Massive lighting company from Mortsel, Kontich and Wommelgem, Belgium. 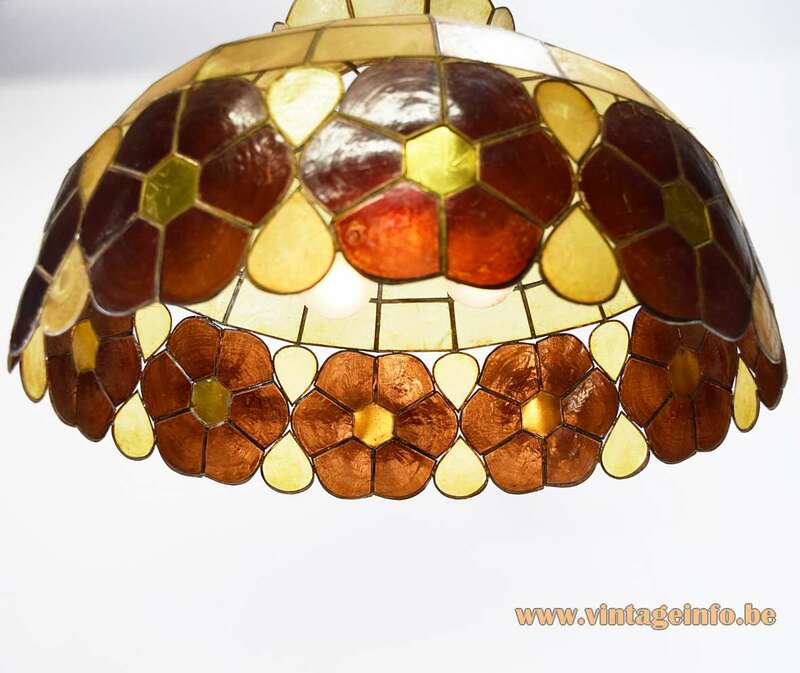 Many types of these lamps were imported and sold by German lamp producers. 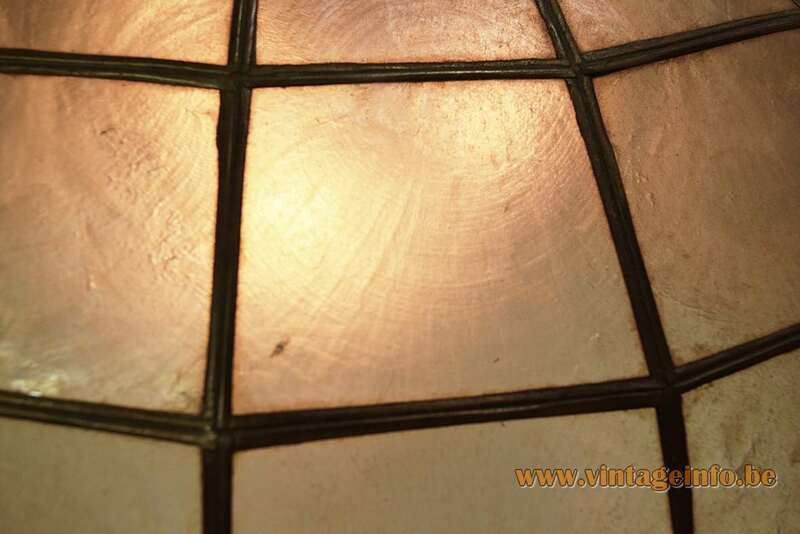 You can find several lamps here on Vintageinfo. The pieces of shell having brass edging and formed as flower petals. 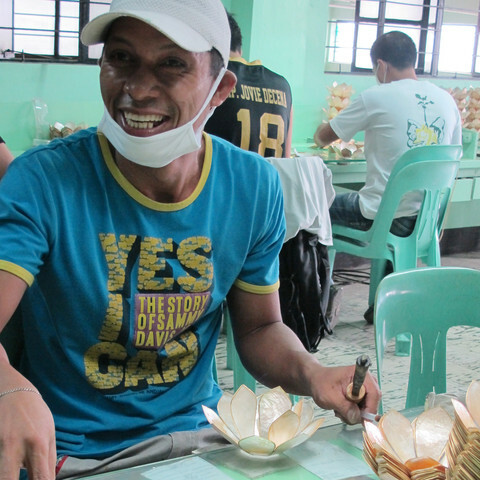 These lamps are all made in the Philippines, in the eponymous province of Capiz, hence the name. These lamps were sold by light companies around the world, you find them everywhere. The shells (placuna placenta) have been used for thousands of years as a glass substitute because of their durability and translucence. 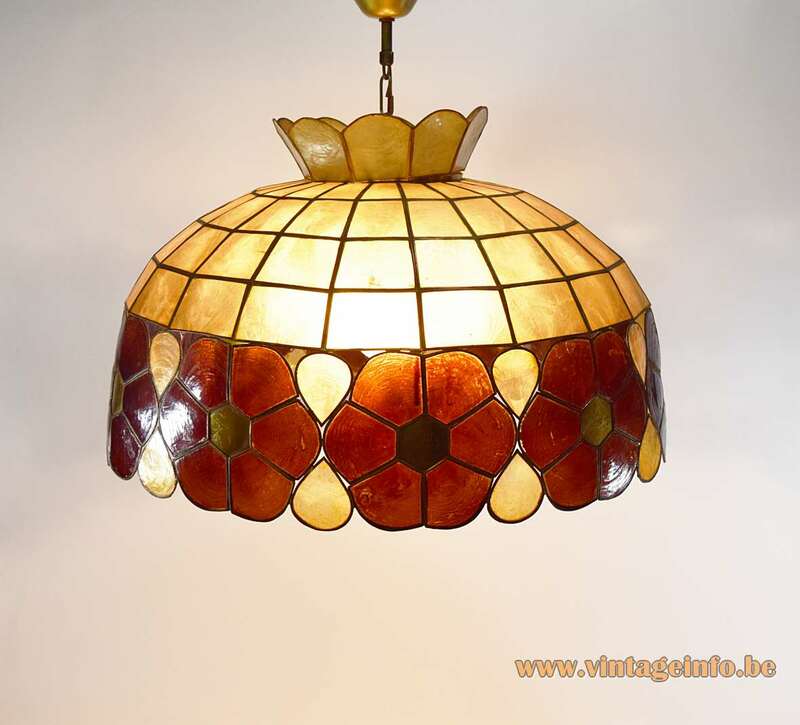 The windowpane oyster used for these lamps are often called “mother of pearl“, but that’s a different shell. Mother of pearl is “nacre” and it’s the inside of a different shell and is not translucent. Also the outside of a pearl is from the same organic material.